The language used in alcohol marketing is a bit odd. Beer companies use "cold" as a taste descriptor, as though a temperature has a taste. Even supposedly "small" companies employ terms that are nebulous at best. 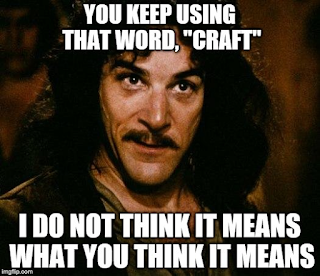 What exactly is "craft" brewing? It used to imply, if somewhat vaguely, a small, non-Molson/Labatt/Budweiser producer, but then many "craft" brewers got bought up by those big players. Words like "micro-breweries" then became all the rage for the bearded, manbun-sporting hipster er, enthusiast. What's next? Nano-breweries? Femto-breweries? The bourbon and whiskey world is just as strange a place. Some terms are strictly defined, like "Kentucky Straight Bourbon", or "Single Malt Scotch". Others are meaningless, legally speaking. Terms like "old" (without an actual age statement), "rare", "special", "craft" and "small batch" have no regulated, defined meaning. That doesn't mean that companies using these terms are intentionally misleading their customers. I'm sure producers have their own definitions as to what "small batch" or "hand-crafted" represents. They simply choose not to share that information with their customers. 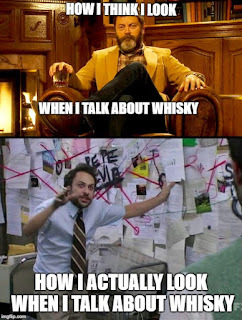 However, terminology is not a reason in and of itself to avoid what could be a good whiskey. I was enamoured with Four Roses Single Barrel, so when their Small Batch offering was on sale at the LCBO, I snagged a bottle for casual sipping. Finish: medium length, the rye and oak give way to sweet vanilla, rich caramel and coconut. Very pleasing. This whiskey is like a three-course dessert. The nose reminds me of this pannekoeken recipe. If you don't know, pannekoeken is a giant Dutch pancake that's more of a dessert than a proper breakfast. 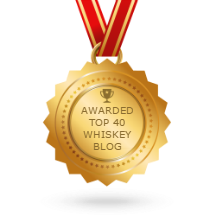 (But hey, if you're reading a whiskey blog, I'm going to assume you're a grown-up. If you want dessert for breakfast, be it a bourbon or a brown sugar, caramel-apple pannekoeken, you do what you want.) The taste (palate) is very much like an apple pie. It's clearly a high-rye bourbon and it works fantastically. The finish becomes richer and much sweeter, like coconut caramel clusters. The longer this bourbon sits in the glass, the more the caramel and coconut come forward. Instead of appearing on the finish, they start to take over the taste (palate) as well. Pretty complex for not a whole lot of money, even if it feels a bit disjointed. All the flavours are good, but the whole thing feels a bit out of balance. There is little to no alcohol burn, which is not surprising, since it's bottled at 90 Proof (45% ABV). I would love to see this a tad higher, maybe around 100 Proof. I've only added water to this bourbon once, and I don't recommend it. Other than an initial rye hit 5-30 seconds after dilution, all you get is a watery dram. Sip it neat. It's tough to know exactly how to evaluate this whiskey. I'm not a fan of murky naming conventions or lower ABV % when it comes to bourbon whiskey. 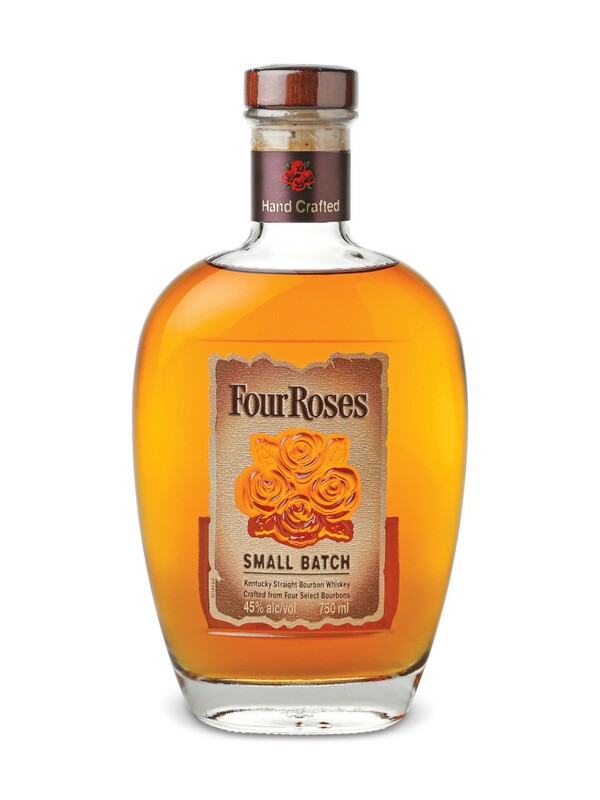 Bourbon's flavours seem better-suited to higher strength bottlings (over 50% ABV). I liked this bourbon, but it didn't seem as well-integrated or balanced as the Single Barrel version. Nevertheless, it is a good product, and I will likely buy it again. If you've never had it, I recommend you try it before you buy it. If you enjoyed this post, please leave a comment or share it.